4G LTE WI-FI!! BLUETOOTH!! USB PORT!! V6!! 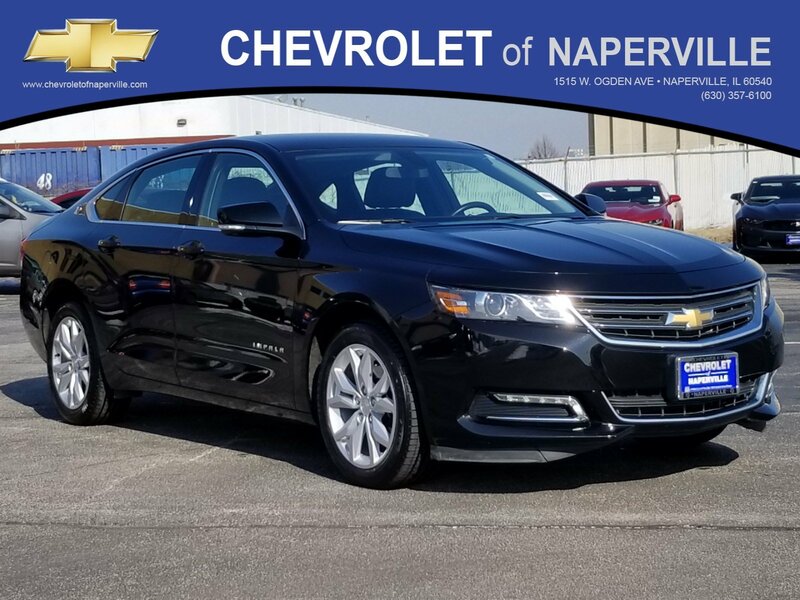 2019 CHEVROLET IMPALA LT IN THE HOUSE!! BLACK METALLIC ON JET BLACK PREMIUM CLOTH SEATING!! BEST COLOR COMBO ON THE PLANET!! 3.6L 6-CYLINDER ENGINE UNDER THE HOOD, 6-SPEED AUTOMATIC TRANSMISSION!! 28 HWY MPG!! CARFAX 1-OWNER!! 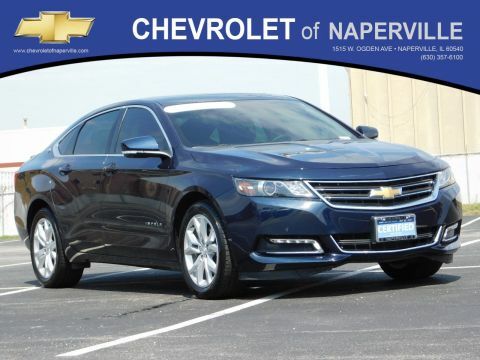 LETS GO OVER ALL THE EQUIPMENT ON THIS LOADED UP LUXURY SEDAN….8” TOUCH SCREEN RADIO W/MY-LINK RADIO, BLUETOOTH FOR PHONE, APPLE CAR PLAY, SIX-WAY POWER DRIVER SEAT, REMOTE KEYLESS ENTRY, TINTED GLASS, DUAL ZONE CLIMATE CONTROL, ABS BRAKES, 3-USB PORTS, LEATHER WRAPPED STEERING WHEEL W/AUDIO CONTROLS, ROOF MOUNTED ANTENNA, ONSTAR, 6-SPEAKER PREMIUM SOUND SYSTEM, DUAL POWER/HEATED OUTSIDE MIRRORS W/TURN SIGNALS, ABS BRAKES, TRACTION CONTROL, TILT/TELESCOPING STEERING WHEEL, HALOGEN HEADLAMPS, ALL SERVICED UP WITH A PROFESSIONAL DETAIL AND READY TO GO!! BUT WAIT LADIES AND GENTLEMAN THERE IS MORE….LETS TALK WARRANTY…YOU WILL GET THE REMAINDER OF THE 5 YEAR OR 60,000 MILES POWERTRAIN WARRANTYAND THE REMAINDER OF FACTORY 3YEARS/36,000 MANUFACTURER WARRANTY WORRY FREE DRIVING FOLKS!! 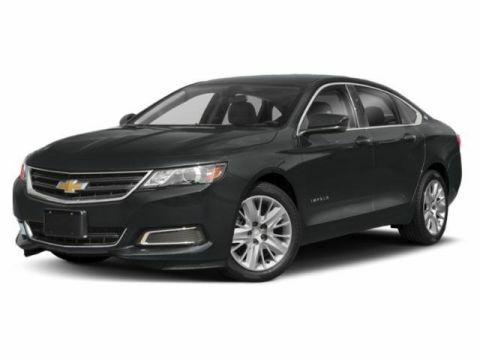 COME ON DOWN AND TAKE THIS LOADED UP IMPALA FOR A SPIN AROUND OUR 9 ACRE EXCLUSIVE TEST TRACK!! SEE YA SOON…ONE LOW PRICE, PLAIN AND SIMPLE…ALWAYS!! 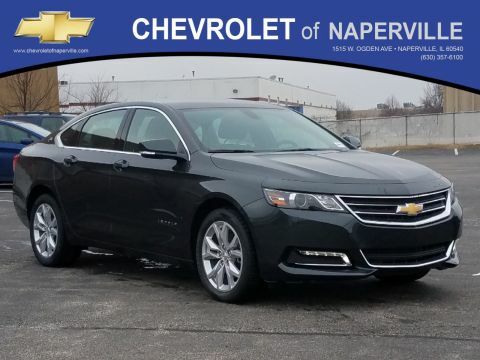 .FIND NEW ROADS HERE AT CHEVROLET OF NAPERVILLE…….